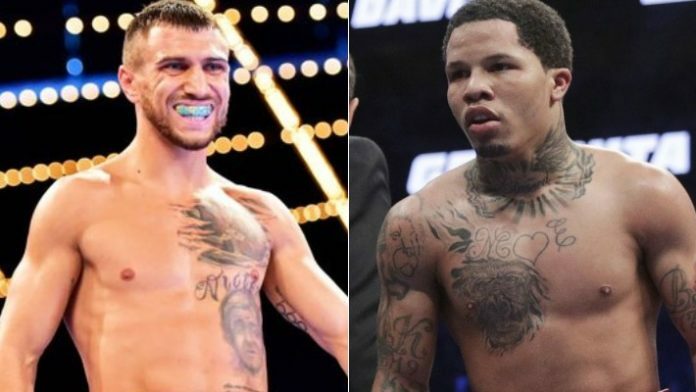 Gervonta Davis believes that a fight against Vasyl Lomachenko will happen, but only 'at the right time'. Gervonta Davis had a big weekend in California. “Tank” made very quick work of Hugo Ruiz to defend his WBA super featherweight championship. However, after the fight, Davis has again become flooded with questions of a possible fight with lightweight king Vasyl Lomachenko. “I think so,” Davis said. “I think it’s gonna happen. Me and Floyd, we actually talked about it,” Davis said. “Even me and Al talked about it, you know? But it’s about making it at the right time. Everything don’t happen overnight. Lomachenko is on an 11-fight win streak and currently reigns as the WBA (Super), WBO, and The Ring lightweight champion. It will be interesting to see how he fares against a fighter with knockout power such as Davis. When do you think Lomachenko and Davis will share the ring together?